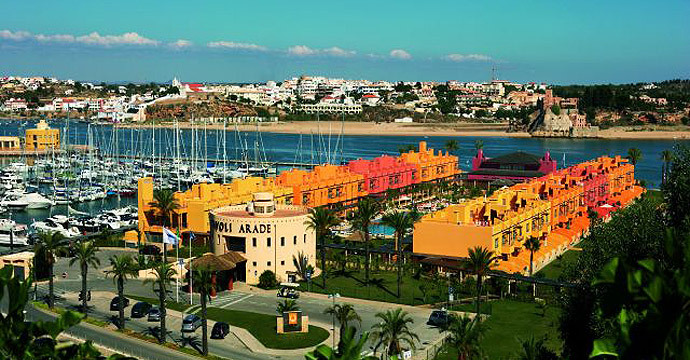 The Tivoli Marina Portimão is a 4 star resort in the Algarve, Portugal, which you’ll want to come back to again and again. Here, just one visit is not enough and a weekend would be simply too short. Family holidays are easily filled with different leisure and fun activities at the hotel, from the swimming pool to the restaurants and bars. Start the morning with a great breakfast while you enjoy the view of the marina. Then, with all the time in the world, either stroll down or take a ride in the Tivoli Buggy to the long white sands of Praia da Rocha. Stores, restaurants and night life are all right next to the hotel. Water sports, golf and activities for children are just some of the options available. If you are planning a special event, the ample sized rooms for parties, meetings, weddings and banquets are totally adaptable to your needs. The ample apartments fully meet all your needs. They are all equipped with separate living and sleeping areas, a kitchenette and a balcony or terrace. We have a total of 196 apartments with sea or pool view, including two which are especially adapted for disabled guests.
. 2 Specially adapted apartments for disabled guests.